The diminished hydropower capacity of California’s dams cost electricity customers a total of $1.4 billion in the past three years, according to a study from the Pacific Institute. 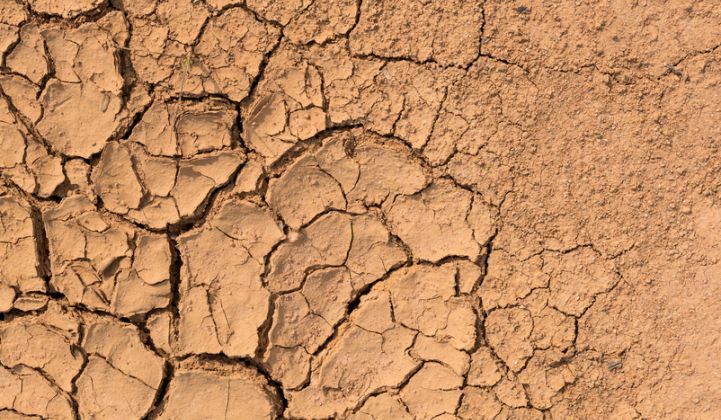 When the 2007 to 2009 drought is taken into account, the figure rises to $2.4 billion. “We expect these costs to rise further,” the study authors wrote at the time of publication in late March. With a record-low snowpack, hydropower output is expected to be low through this summer as well, according to the U.S. Energy Information Administration (EIA). The increased cost is due to additional natural gas used to make up for the hydro shortfall. Some of the state’s largest hydropower plants are in the Northern Sierra, which has seen precipitation nearly 40 percent below average. To cope with the extreme drought, California Governor Jerry Brown recently ordered a first-ever mandatory 25 percent cut in water consumption for the state’s local water supply agencies, and more water restrictions are likely coming for the agricultural sector as well. But the cuts on the demand side will do little to help hydropower production. EIA noted that the continued drought means that even with the snow melt this spring, it will be insufficient to replenish parched reservoirs. Because the soil is so dry, even when rain does fall, it will likely be absorbed by the soil instead of flowing down into reservoirs. 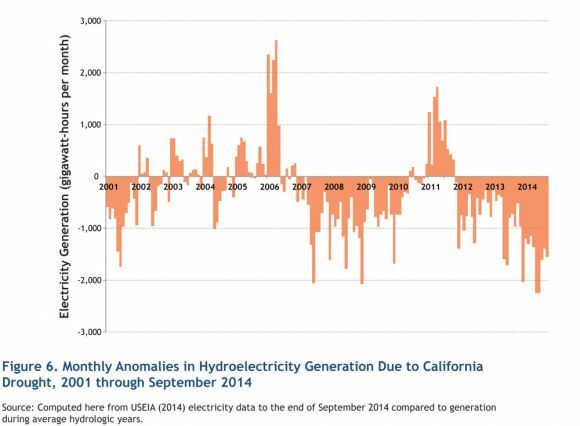 Even before this most recent drought, California utilities have started to decouple from hydropower over the past decade. According to the EIA, solar generation made up for four-fifths of the decline in hydropower production in California last year. While hydropower has been more than halved since 2011 to 9 percent in 2014, wind had doubled to 8 percent and utility-scale solar is up to 5 percent in the same period.